Cumulonimbus was part of Elektra 2013 digital media festival. An audio installation by Kathy Kennedy and Julian Stein. The name “Cumulonimbus” refers to rain clouds and hints at the thematic material of the piece. A constantly changing gust of rain and wind soars into the spectator’s ear as he/she navigates through the darkened gallery space. The weather transforms into the whispered words of the final soliloquy of Macbeth, “tomorrow and tomorrow and tomorrow.” This famous text has been associated with the inevitability of fate (signified by nature) and the repercussions of one’s actions. Two statuesque bowls are filled with money and water, tempting the spectator to “get their hands wet” and grab the coins. 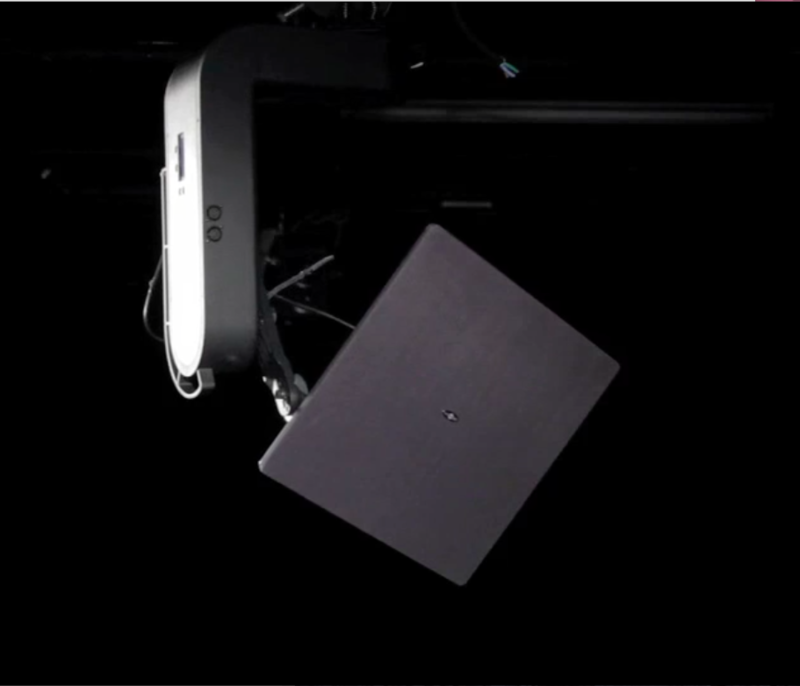 A Holosonics audio spotlight (ultrasonic speaker) is attached to a dmx controlled pan tilt motor. Through video camera tracking, the motor moves the speaker, locating and following spectators throughout the room, whispering into their ear. Cumulonimbus évoque les nuages porteurs de pluie et fait référence au matériel thématique de la pièce. Une rafale de pluie et de vent en constante évolution gronde dans la galerie sombre. La météo se transforme en mots murmurés extraits du monologue final de Macbeth « tomorrow and tomorrow and tomorrow.», texte associé à la fatalité du destin et aux répercussions des actions que l’on pose. Grâce à la surveillance vidéo, un projecteur audio holosonique (haut-parleur à ultrasons) localise et suit les spectateurs en chuchotant à leur oreille. Contact Kathy Kennedy for technical rider.